« The Ghirardi WaterSmart Park, a new idea for League City. Recently, I have had the opportunity to work on several garden projects with some pretty amazing kids. Let me rephrase that. All kids are amazing and always end up teaching me far more than I try to teach them. But how often do we assume children are not strong enough, lack energy, courage or resolve? So much of what kids do and think is egocentric—how can this thing or action benefit me, and only me, now? Adults help feed this attitude when they dismiss a child’s ability to perform even the simplest of tasks. Or when they do not allow room for critical thinking and problem solving by spoon feeding children the answers. A child might hear, “When you grow up you can do…..” But children of every age deserve the chance to prove their abilities in practical, real accomplishments. 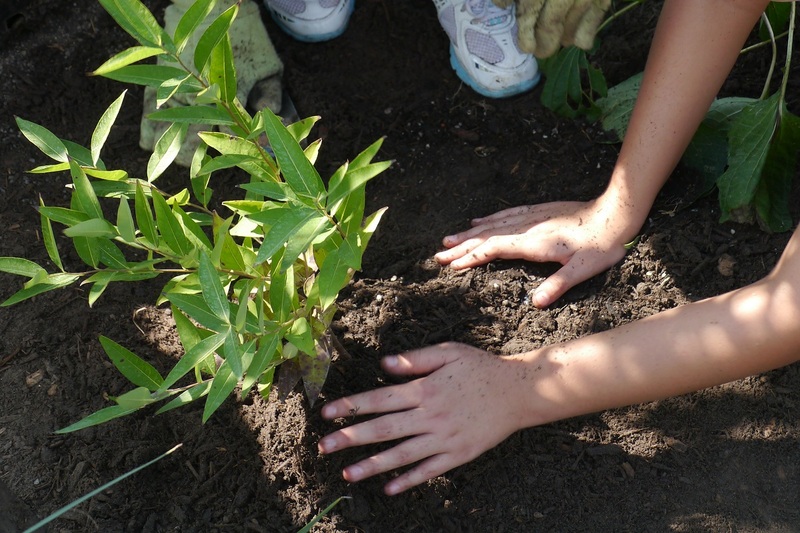 Getting kids outdoors and involving them in nature conservation projects, small or large, is a great starting point. An educator once said that all living things depend on the earth’s resources, but of all living things, we humans have the greatest ability to change these resources. Renowned wildlife biologist Aldo Leopold said, “Conservation is a state of harmony between people and land.” By offering children meaningful experiences to help protect the environment, you open the door to a world where they can connect to something larger than themselves, where they can feel the positive actions they take now will make a difference for future generations. And you can watch in awe as they spread their wings and soar. 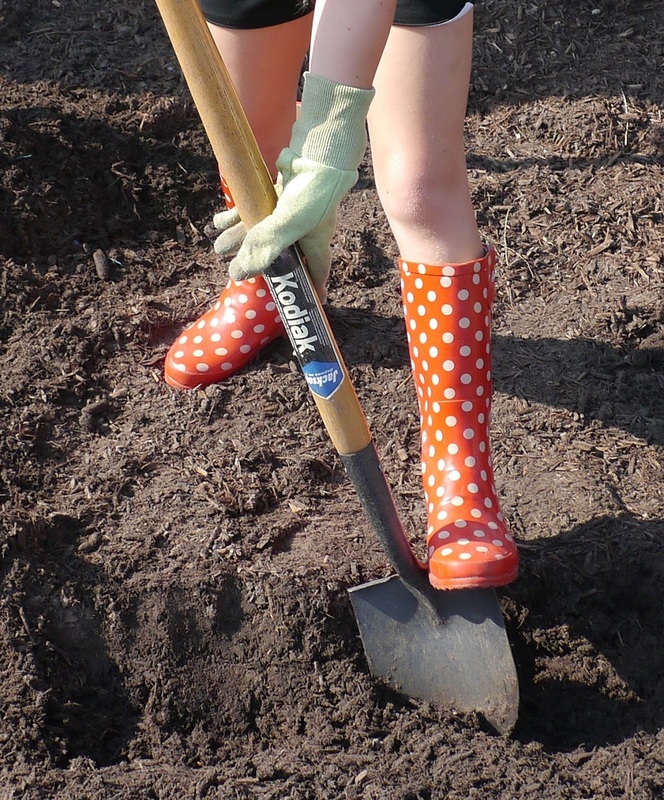 Younger children can start by helping the family or community plant a vegetable garden. Children will enthusiastically dig and plant, but one of the best lessons is the delayed gratification that comes while waiting for the harvest. Then once that first vegetable is picked from the plant or pulled from the ground, no amount of verbal praise showered on a child can equal the pride that bursts from within him or her. Some children are fortunate to have wildlife habitats at their schools. Wildlife conservation involves providing for the needs of native wildlife, including food, water, shelter, space and places to raise their young. These are great outdoor classrooms with countless real life lessons, but they also provide children with the understanding of what makes a good environmental steward. The habitat gardens cannot take care of themselves. Children can plant, weed, water, and construct simple bird feeders or houses. One such school habitat offers students from the Clear Creek Independent School District a chance to actively participate in all aspects maintaining the planted areas. At the same time, the curriculum used in this outdoor classroom connects lessons learned to the inside classroom. The knowledge the children gain through their experience out in nature reveals its real world application. The garden projects I mentioned earlier are “rain gardens” These are bowl-shaped, planted areas designed to capture and retain rainfall allowing some to absorb into the ground while the soil and plant material filter the rest of any sediments and pollutants before it enters the stormdrain or nearest body of water. A beautiful garden can help protect water quality. 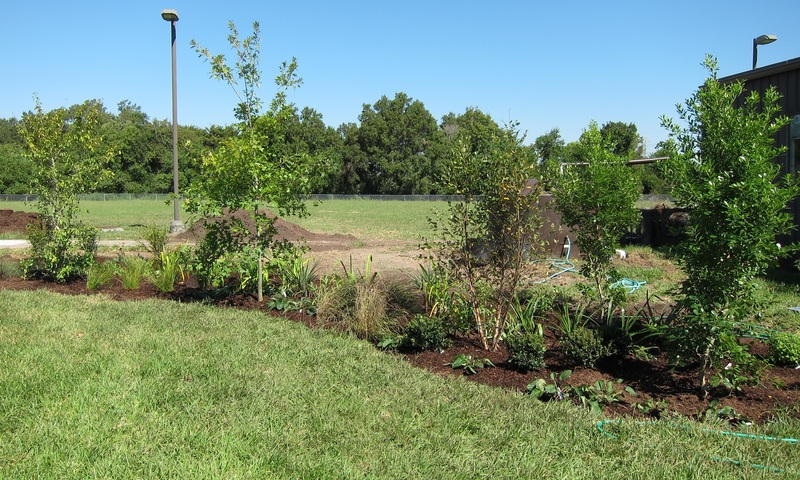 Rain gardens have been a focus of the Girl Scouts of America as part of their Girl Scouts Forever Green Program. To date, Girls Scouts from the San Jacinto Council have helped plant four rain gardens with the WaterSmart Program. The most recent one alone measures 720 square feet. The girls planted 164 plants (including trees, shrubs and perennials) then mulched the whole garden, all in one day. Talk about kid power!